Pen drives are important to us because it helps us as an external storage device that can be used for various reasons. The most important thing is, it can help us to transfer files between computers, laptops and even smartphones. So it’s really common to use a pen drive for fulfilling your digital needs. Sometimes we hide files in our pen drive so that only we can access those files when needed or sometime file gets hidden unintentionally. If you have faced this issue but you don’t know how to open hidden files in pen drive then this is the article you need to read. With the help of this article, you are going to learn how to view hidden files in pen drive and everything you need to know about pen drive hidden files recovery. The methods described here are effective and using these methods will surely solve your problem in no time. So follow this article till the end to open hidden files in Windows PC or Mac. Pen drive hidden data recovery is easy when you have a step by step guideline to follow. This part will help you learn how to view hidden files from pen drive using CMD. 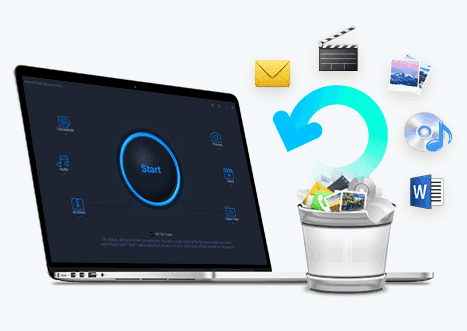 Actually CMD should be the first choice for you when you want to recover hidden files in pen drive from an external hard disk, USB drive, memory card or other storage devices. Here is how to open hidden files in pen drive using CMD. 1. First you need to put inside the pen drive in your computer. 2. Then you need to go to the "Start" menu and search for CMD to open Command Prompt in your PC. 3. When you click on the "cmd.exe", you will enter into the command line. By using the command line you can easily command your computer to view the hidden files in your pen drive. 5. Finally check if you can see the hidden files in your computer. If this method doesn’t work, follow method 2 that will surely work out for everyone. It is virus-free unhide pen drive software and has two modes to do pen drive hidden files recovery. It can completely recover your hidden documents, photos, videos, archives, audio and other files from pen drive under Windows PC or Mac. It does not only help you view hidden files in pen drive but can also undelete and unformat pen drive files. Download and install the program in your PC. Then plug in your pen drive into your computer. Let's start recover and open hidden files in pen drive on Mac or Windows. Step 1: Launch the Windows or Mac pen drive hidden files recovery application and you will get into the first interface of the software. After that, you need to select the hidden file type that you want to recover hidden files in pen drive. Just choose the file types that you want to open and unselect any other option. Then click on the "Start" button to view hidden files in pen drive. Step 2: Next, you will find all the list of drives that are available in your computer. 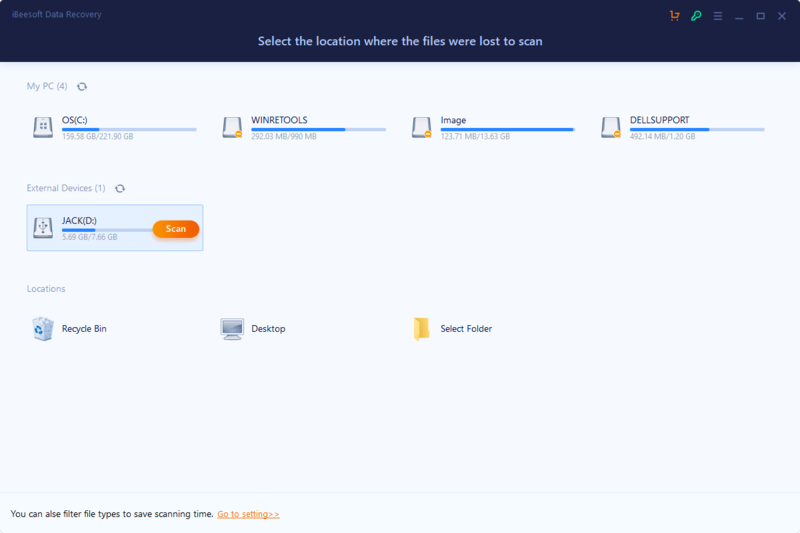 You need to choose your pen drive that contains your hidden files and click on the "Scan" button to start scanning. Step 3: The pen drive hidden data recovery program will automatically scan your drive and display all the data that you selected to recover before. From here you need to check the data types that you want to recover from the left side menu and choose the files you want to recover. After that you need to click on the "Recover" button from the top right corner of your screen to start the pen drive hidden file recovering process. You must wait for some time till the recovery process completes. The time depends on the file size that you are recovering here. Within a very short time all your hidden files from the pen drive will be recovered on your computer. This article has helped you to learn how to open hidden files in pen drive easily in no time. 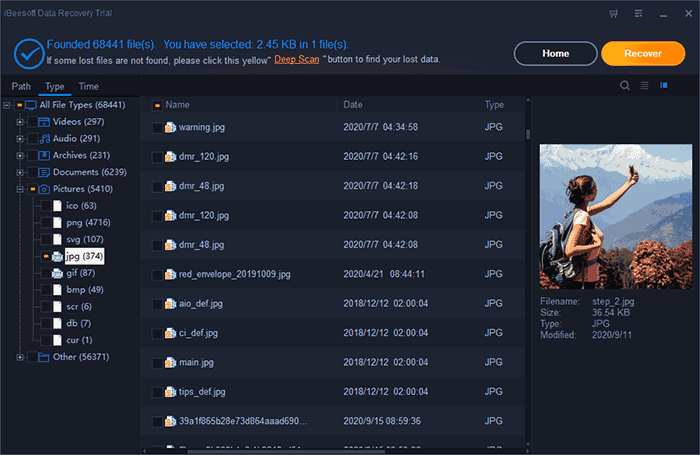 You can easily try any method from this article because these methods are tested by experts and you will learn everything about pen drive hidden files recovery from here. Still if you are confused which method will guarantee the safety of data and give you a successful result, you can blindly put your trust on iBeesoft Data Recovery software. There is no other online pen drive recovery software on the internet can give you so smooth pen drive hidden data recovery in such a short time. So don’t waste your time on something else, start using this tool to get successful result while recovering your data.